You don't need to travel far from the overcrowded package resorts of Cyprus to discover the island's true beauty - mountains, forests, unspoilt villages, Roman treasures and deserted beaches. 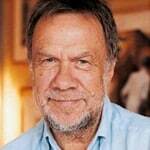 Not to mention the renowned hospitality of the Cypriot people. Let the specialists, Sunvil, help you discover the true heart of the island. Cyprus is our heartland and we know it inside out. We have created a unique range of holiday experiences from fly-drive itineraries to walking holidays and short breaks, all designed to give you a taste of genuine Cypriot hospitality and natural beauty. Cyprus is one of the sunniest spots in the Mediterranean. In the summer months, you can bask in temperatures of up to 35ºC but it’s in winter that Cyprus really comes into its own. In November, for example, you can enjoy temperatures of 23ºC and an average seven hours of daily sunshine. It’s also a beautiful and historic island with so much to explore if you are looking for more than a “fly and flop” holiday in the sun. Did you know, for example, that Cyprus is more heavily wooded than Canada, with cedar and pine forests interspersed with charming, authentic villages? To give you a taste of our unique style and the sort of small hotels we continually uncover, check out these two hotels – Paradisos Hills and The Library. 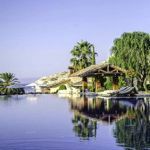 Both are family-run Cypriot gems set in rural areas with characterful villages, beaches, the Troodos Mountains and more within an easy drive. Our popular two-week fly-drive holiday starts in the foothills of the Paphos mountains, following the south coast between Limassol and Larnaca before heading up into the Troodos mountains. Stay in characterful small hotels and village inns and discover off-the-beaten-track tavernas and wineries a million miles away from the bustle of the beach resorts. A one week fly-drive is also available. 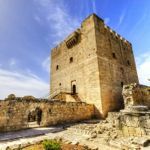 Our 9-night Open Air Museum fly-drive digs deeper into the island’s rich heritage, travelling between Paphos and Larnaca. Explore the diverse legacy of the Greeks, Persians, Romans, Phoenicians, Normans, Venetians, Turks and British who have all left their mark – from Neolithic dwellings to Byzantine churches and world-famous mosaics. Discover the beauty of the Akamas National Park, remote villages and UNESCO World Heritage Sites on our self-guided walking holiday. We’ll provide a car to help you get around when you need more than two legs! Your bases are two delightful hotels – one on the beach in Latchi and one in the mountain village of Kalopanagiotis. 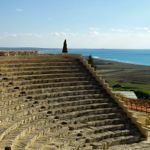 In 2017, Paphos was designated European Capital of Culture, testament to its rich and fascinating heritage. Our fantastic short break will give you a taste of this vibrant and historic coastal town. Find out more about our holidays and short breaks in Cyprus, and the best time to visit Cyprus.